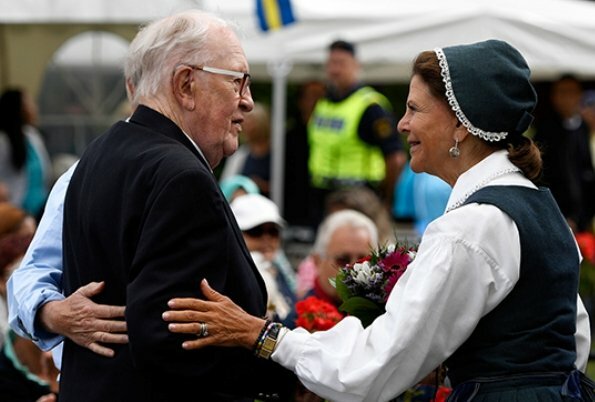 On August 23, 2017, Queen Silvia of Sweden visited the "Pensioners’ Day" (De gamlas dag) event held at the Ekerö's Ekebyhov Palace Park in near Stockholm. 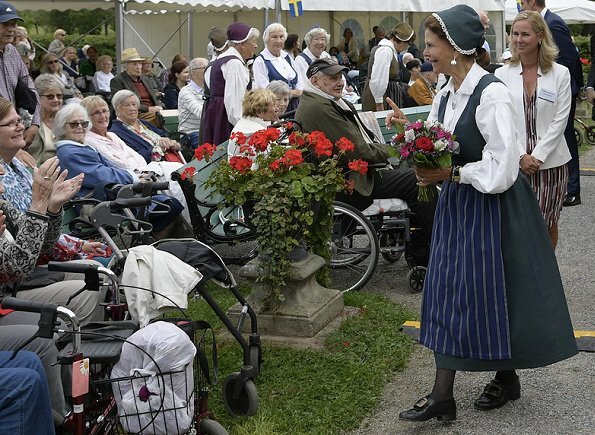 The event was first held at The Queen's initiative as a picnic in Drottningholm Park, and is now organized by Ekerö Municipality. Queen Silvia looks lovely, I particularly like this traditional dress it is very flatter on the Queen.